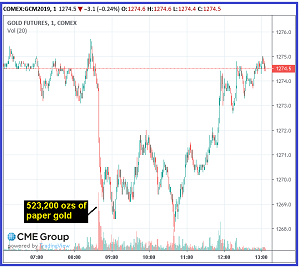 Anyone who’s traded big positions on a trading desk knows that the best way to unload a position that is larger than the immediate liquidity of the market in which the security trades (yes, Comex contracts are “securities,” not actual physical gold) is to feed it out over time. This is all rhetorical, of course, because the all-too familiar “fishing line” 1-minute chart is the blatant footprint of market manipulation. Of course, Kitco’s “reporter” on the scene chose to attribute the sudden price plunge to a market “hamstrung by not much risk aversion in the world marketplace” Kitco.com. It’s hard to believe an educated person wrote that commentary (“Gold Prices Sink To 4-Month Low On Scant Risk Aversion” by Jim Wycoff). Honestly, that headline makes me chuckle. Well then, Jim, the Dow is now up 153 points as I write this 5 hours later, which by your logic would imply there’s even less risk aversion than the “scant” risk aversion at 8:39 a.m. How come, Jim, the price of gold rebounded to the level where it was trading when fear of “scant” risk aversion triggered someone to unload 16 tons of paper gold in less than 60 seconds if indeed fear of scant risk aversion was the catalyst for sell order? The “money supply” number as provided by official Federal Reserve statistics, it turns out, is not the true money supply. The fractional banking system allows banks to lend money on its reserve capital at a rate of 90 cents for every $1 of reserve capital. Technically, a loan is not considered “money creation” because of the legal provision that a loan has to be paid back. Because of this legal “glitch,” the creation of credit is not considered to be part of the money supply. Yet, borrowed money behaves in the economy exactly like printed money until that point in time at which the borrow must pay back the loan. The spending power created by the creation of credit is identical to the spending power of printed money. The person or entity doing the spending does not know the difference. This means that the amount of debt issued and outstanding by the U.S. Treasury should be added to the “official” money supply number (for example, M2) in order to calculate the true supply of money circulating in the system. This especially true because the amount of debt issued by the U.S. Government increases in quantity on a daily basis – it’s never repaid (anything considered “repaid” has been repaid with new debt). The RussiaGate circus has been one gigantic waste of resources, time and money. It’s been the perfect cover-story for the elitists, who have played it perfectly as a device to redirect the masses’ attention while the system collapses – economically, financially and geopolitically. Don’t pay attention to fact that Government spending and debt continues to spiral higher. Instead, watch as the wealthy elites’ political pawns berate each other in public for the benefit of show. A media spectacle akin to herding the peasants into the Coliseum to watch Christians being fed to the lions. Any who takes the time and effort to follow this tragi-comedy is wasting time and brain cells. The narrative is taking the public down a rabbit hole that never ends. Keep ’em distracted while the elitists loot the system as each side of the political “aisle” roots for their favorite propagandist, unaware that their pockets are being picked clean. It’s like the chickens in the barnyard cheering for Colonel Sanders when he shows up to feed them. I hope everyone who wakes up everyday to follow the vicissitudes of this stage production is enjoying the show. After all, it’s being entirely funded with your tax money. The current stock market is the most dangerous stock market I have seen in my 34+ year career as a financial markets professional. This includes 1987, 1999-2000 and 2007-2008. The run-up in stocks has been largely a product of momentum-chasing hedge fund algos on behalf of the large universe of sophisticated hedge funds which are desperate for performance. In the context of the obviously deteriorating economic fundamentals, the performance-chasing game has become a combination of FOMO – “fear of missing out” – and the Greater Fool Theory – praying someone else will pay more for the stock than you just paid. There’s also likely some official intervention going on as well per the chart below. The problem with relying on this device is that eventually the market will fatigue of “false-positive” news releases and revert to bona-fide price-discovery. The initial headlines reported an earnings “beat.” The algos drove the stock from its $19.40 closing price to as high as $21.27 on those headlines. But in the real world, the details of BBBY’s financial statements showed that sales declined both in Q4 vs Q4 2018 and for the full-year 2018 vs 2017. Even adding back the large impairment charge which BBBY took in Q4 this year, operating income was still down 37% vs Q4 2017. The stock closed Wednesday’s extended hours trading session 18% below the headline-driven high-tick. This is what happens when reality gets its claws into the market. The best example of the Greater Fool Theory right now is the semiconductor sector. Semiconductors are “hyper” cyclical. The companies mint money in a strong economy and come close to hemorrhaging to death in recessions. The SMH ETF has gone up 55% since the Fed/Trump began re-inflating the stock bubble. Some individual stocks have nearly doubled. Wafers are the building block for semiconductors and integrate circuits. Siltronic is a leading global wafer manufacturer. If Siltronic is seeing a meaningful decline in wafer orders, it means the companies that make the semiconductors and integrated circuits are flush with inventory that reflects lack of demand from companies that use chips to manufacture the end-user products. The higher probability trade right now is to short the semiconductor sector (along with the overall stock market). Trading volume across the board is declining, standard market internals are fading and sentiment is back to extreme bullishness (Barron’s cover two weeks ago wondered, “is the bull unstoppable?”). I can hear a bell in the distance signalling the top. I suspect a large herd of price-chasers will realize collectively all at once that there’s going to be a rush to find the next Greater Fool but the Greater Fool will be those stuck at the top. Literally, the wheels are coming off. Panasonic, which supplies batteries that it manufactures for Tesla at the Gigafactory in Nevada announced that it was cutting back on its plans to expand production capacity at the plant. It also announced that it was suspending plans to produce batteries at Tesla’s planned Shanghai Gigafactory. In an article in a Japanese business publication, Panasonic had less than flattering things to say about working with Tesla. The move by Panasonic at the Nevada Gigafactory likely reflects concern over the falling demand for Teslas. Tesla is sticking by its guidance to produce and deliver 360-400k vehicles in 2019. In Q1, Tesla delivered 63k vehicles – a 252k annualized rate. David Einhorn, the proprietor of the high profile Greenlight Capital hedge fund, is vocally short Tesla. His team believes Tesla will deliver less than 250k vehicles in 2019. Q1 and Q2 will likely have higher deliveries than Q3 and Q4 because of the temporary “bump” in demand from rolling out the Model 3 in Europe and China in Q1. I believe there’s a chance that deliveries in 2019 are closer to 200k than 250k. 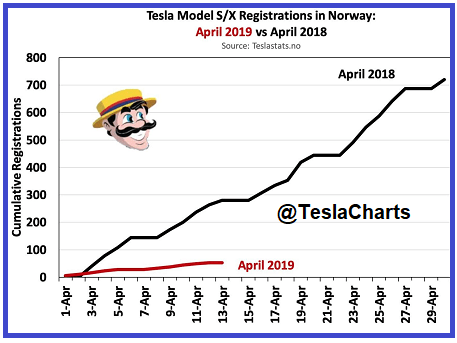 That chart looks similar or worse in all of Tesla’s markets, including the U.S. After a brief bump in deliveries from the effect from the start of delivering the Model 3 to Europe’s and China’s “must-have the latest tech device” crowd, the Model 3 chart will soon look like the delivery chart for the S/X. European’s are already complaining about the poor reliability and service on the Model 3. Tesla also rolled out its leasing program, which left most analysts, including me, thoroughly baffled. The lease program ostensibly is primarily to boost demand for the Model 3. But Tesla does not offer a lease for the basic $35,000 Model 3. It also announced that the basic Model 3 would only be offered for online purchase. The lease for the Standard Range-plus Model 3 is structured such that the lessee will need to put down roughly $4k upfront. The lowest monthly payment option is $504 and there’s no purchase option at the end of the lease. I won’t go into Musk’s rationale for this because it would be a waste of your time to read about it. In short, the ill-conceived lease program will likely have a minimal effect on unit deliveries. There’s three primary reasons Tesla’s sales are falling rapidly: 1) the 50% drop in the tax credit (which drops even lower to $1875 starting July 1st this year and goes away completely after December 31st); 2) Tesla’s growing reputation for poor reliability and even worse service; 3) Growing competition in the luxury EV space. With each passing week, the operational decisions and musings of Musk become more bizarre. The growth narrative is over. The Company is shrinking its service centers and delivery infrastructure in order to cut costs. Senior employees are leaving pretty much on a weekly basis. 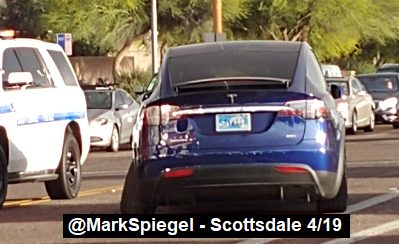 In fact, last week the senior manager who was responsible for building Tesla’s lithium ion battery supply chain from May 2017 to April 2019 left the Company. Perhaps more troubling, Tesla’s Director of Global Treasury also left recently. This function of this position is to oversee the Company’s worldwide cash management and liquidity activities. It’s likely this person, Pedro Glaser, was not interested in sticking around until the cash runs out. The Company continues to spiral downward in a toxic cloud of operational dysfunction, financial deterioration, decaying auto industry fundamentals and growing fraud. It remains a mystery to anyone who examines Tesla closely how the stock manages to remain at a level that assigns a $47 billion market cap to the Company. I suspect there’s a continuous short squeeze on the shares because the short-interest is quiet high and the “free” float of shares is low relative to the overall short-interest. Ultimately the shorts will prevail – of that I’m 100% confident. In my view, Tesla continues to circle the drain. The stock is down nearly 20% YTD in the context of one of the most torrid upside moves in the overall stock market in history. The stock appears ready to test the $250 level again. If it drops below that, it could fall below $200 quickly. The commentary above is an excerpt from my latest Short Seller’s Journal. 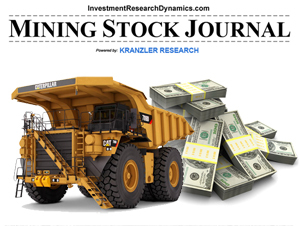 In that issue I present a detail rationale with data to explain why the U.S. economy is tanking and I provide several stocks to short, along with put option suggestions and capital management advice. 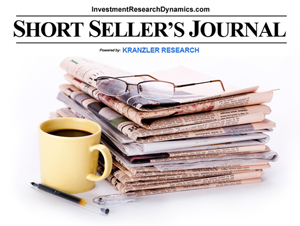 You can learn more about this weekly newsletter here: Short Seller’s Journal information. This is the nastiest bear market rally that I have seen in my over 34 years of experience as a financial markets professional. It would be a mistake to make the assumption that there has not been some official intervention to help the stock market recover from the December sell-off. 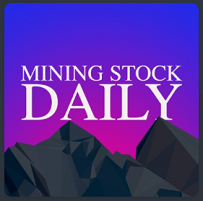 If you are interested in ideas for taking advantage of the inevitable systemic reset that will hit the U.S. financial and economic system, check out either of these newsletters: Short Seller’s Journal information and more about the Mining Stock Journal here: Mining Stock Journal information. 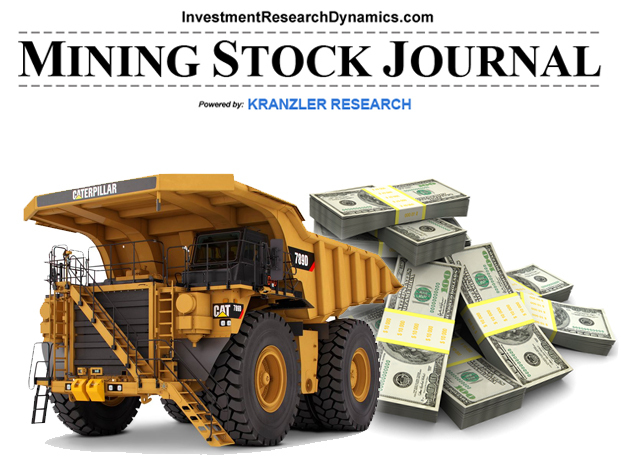 Will Gold Continue Higher Despite Efforts To Keep It Capped? The current period reminds of 2008. The price of gold was overtly manipulated lower ahead of the de facto collapse of the financial system. It’s highly probable the Central Banks are once again setting up the markets for another financial collapse, which is why it’s important for them to remove the dead canary from the coal mine before the worker bees see it. Craig “Turd Ferguson” Hemke invited me to join him in a discussion about the large drop in the price of gold last week and why it points to official intervention in the gold market for the purpose of removing the warning signal a rising gold price transmits about the growing risk of financial and economic collapse. You can click on the sound bar below or follow this link: TF Metals Report to listen to our conversation.